Okay...how did you make that so cool!!! You are so hip on this blog gig!!! How can you not like popsicles??? 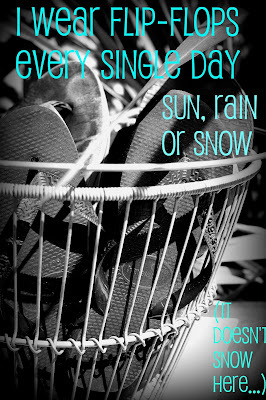 love flip flops... cool about your necklaces..i forgot the others..let me go check.. i'll be back!! Tivo....we don't even have cable!! we are lucky if we get the station at all...i will try the oxy on mour stuff..can you use it on colors?? okay was that all??? I still love how you did that!! My pictures never come out that fantastic!! Beautiful!! I LOVED reading - and looking - at your 6!! I also have an obsession with chapstick (buy a lot at a time, freak out if I don't have any) - except mine is with Dr. Pepper flavored Lip Smackers! Thanks for sharing - you fun thing!! These are cute:) Ha TiVo I still have, "Hillbilly" TiVo:) The VCR! Freaky - I was totally putting on that chapstick as I was reading this. 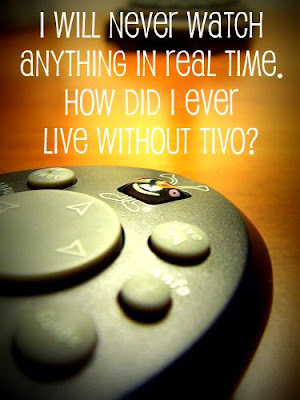 I have the same obsession with TIVO. 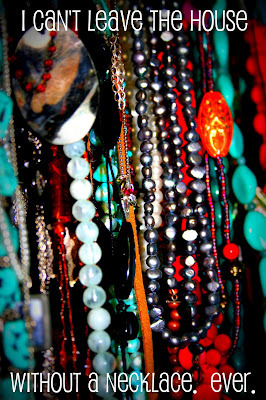 And your necklace rule is my bracelet rule. 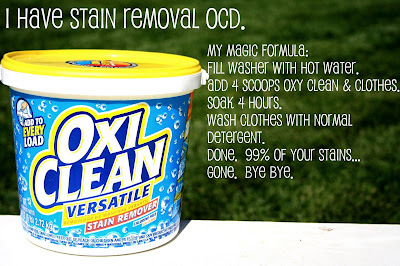 Can't wait to try your stain removal tip. Great post! Your blog is so fun - I will definetly be checking back! 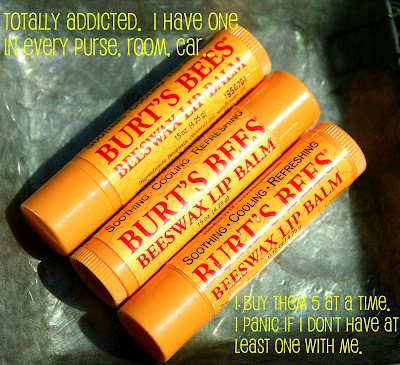 Mmmm, Burt's Bees!! love love love! They had them as a 2-pack for after easter clearance...so, i bought em out! Soooo glad you got the goodies and like---was a pleasure! Enjoy! Happy Day! again your log is too cute! 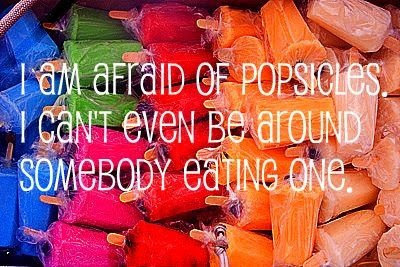 i too am afraid of popsicles, i've ben known to make my kids eat them in the bath tub. i just discovered burts bee's products and am hooked! btw- did you use a pattern for the elmo dress, or did you make one yourself?